High humidity in your basement or crawl space can cause mold and mildew to grow and dust mites to thrive. These contaminants can trigger allergies, asthma and other health problems. If you have asthma, allergies, respiratory illness, and/or headaches, you can benefit from installing a high-performance SaniDry™ dehumidifier in your home. 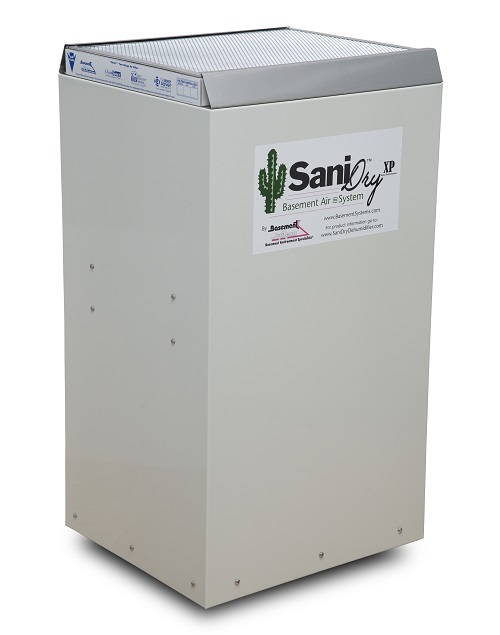 Both SaniDry systems are ENERGY STAR® certified and remove more moisture while using less energy to run than conventional units. These dehumidifiers keep the relative humidity in your home below 55%, eliminating mold and dust mites and giving you drier, healthier air. To request your free in-home consultation and estimate, call us at 1-844-386-0719 or click below. 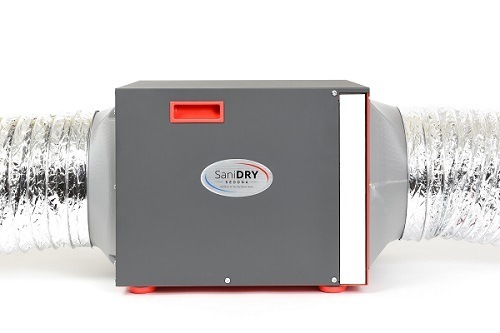 The SaniDry™ Sedona is the most efficient dehumidifier in the world (without a bulky heat exchange core), removing 2.9 liters of water per kilowatt hour (L/kWh). This means you can save on electricity costs while keeping your home comfortable and healthy. The Sedona removes 100 pints of water from the air per day and moves over 300 cubic feet of dry air per minute around your basement or crawl space. This dries damp furnishings and building materials, putting an end to the damp feeling in your home. 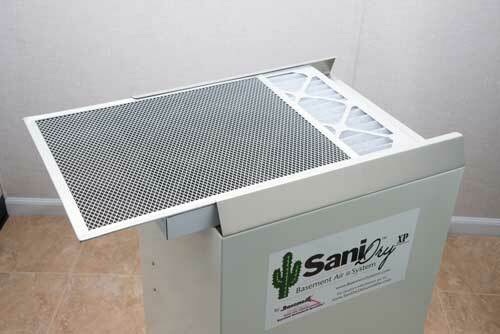 The SaniDry™ XP basement air system is a powerful and effective dehumidifier that is big enough to do the job. 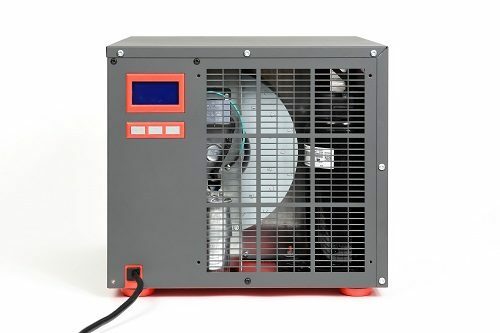 It will dry the air and automatically drain the water out of a hose, so you never have to empty it like a conventional dehumidifier. 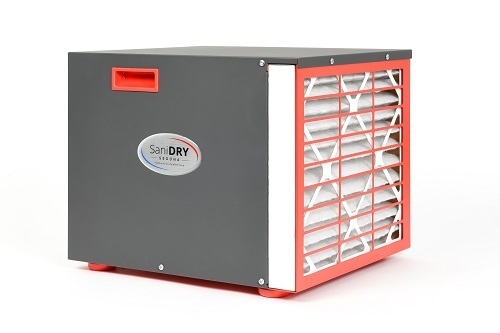 The SaniDry XP will take ten times the amount water out of the air as a typical dehumidifier, yet it uses the same energy. The basement or crawl space is part of the inside of a building as a whole. 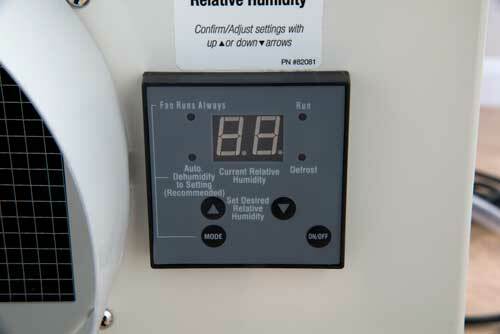 If there is high humidity and musty odors downstairs, it will affect the upstairs environment. SaniDry dehumidifiers are a cost-effective solution to your humidity problems, and will help your whole house to be drier and healthier! 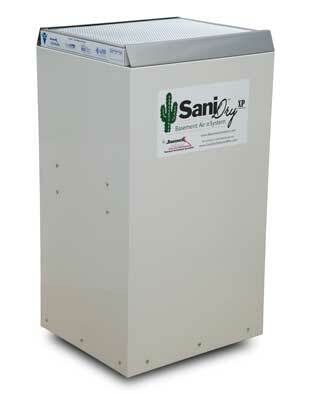 Both the SaniDry Sedona and SaniDry XP remove more moisture per kilowatt of electricity than a conventional dehumidifier. Duct options are ideal for finished basements and hard-to-reach areas. If you’re interested in upgrading your home with a SaniDry dehumidifier system, or any of our other indoor air quality products, contact us today! 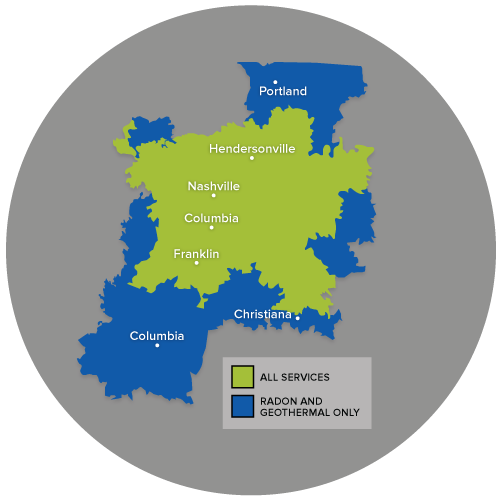 We offer free cost estimates in Nashville, Franklin, Murfreesboro and surrounding areas in Tennessee.